Unhappy Ever After RPG has come from successful Kickstarter project for PC and Mac and is now available on Android. Unhappy Ever After is a role-play game in the classic Final Fantasy ¾ perspective. It offers a free-roam, partly open world, with over twenty four hours’ worth of quests, and continued simulation style play after the story ends. Any great RPG need a great protagonist: in Unhappy Ever After that protagonist is Sophia an eighteenth-century librarian's apprentice to Queen Anne of England who gets pulled into a dark-fantasy world. Join her in her non-typical RPG style quest to find a way home and help her take revenge on the evil witch that tore her away from her lands. •	Explore an open world where you decide who to help and who to leave to their own fate. •	Meet characters from ancient stories and rhymes such as Hansel and Gretel, or Little Red Riding Hood, re-imagined in this dark and chilling RPG. •	A unique magic system where strengthening one ability weakens another. •	An addictive drug system, complete with dealers and quests. •	An adult-themed RPG with political coups, terrorism, drugs, murder, and revenge. •	Beautiful lands to explore. •	A coming of age story with meaningful character progression. •	Team up with interesting and powerful companions each with their own story, conversations, and personalities! •	Enter steampunk dungeons, technomage lairs, dark underworlds, monster filled forests, and haunted mansions. 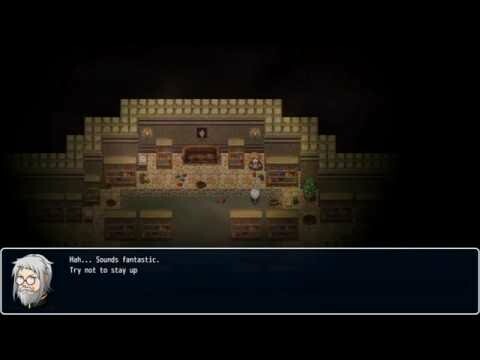 •	A day and night system where characters go to bed and monsters come out at night. •	Play on after the story's end, doing quests, and building up your character and base camp. Enter into a land of dark RPG fantasy with Sophia, an eighteenth-century librarian's apprentice to Queen Anne of England. Join her quest to find a way home and help her take revenge on the evil witch that tore her away from her lands. Despite its beautiful graphics, wondrous music, and humorous interludes, ‘Unhappy Ever After RPG’ is a game, in places, designed to shock and appal, and where your decisions, no matter how noble can lead to devastating ends.